The standard conversion of the Mercedes-Benz Vario into an electric truck by the Lower Bavarian special vehicle manufacturer Paul Nutzfahrzeuge, announced at the beginning of 2018, will start in Vilshofen in the second quarter of this year. The first model will be presented in Munich in April. Orders for the conversion have already been received from local authorities and companies. 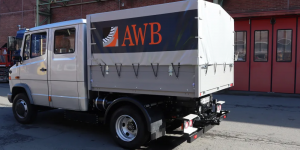 Meanwhile, project partner BPW Bergische Achsen will present a Vario converted to electric drive by Abfallwirtschaftsbetriebe Köln, a garbage collection company, at the Bauma trade fair in Munich in April. True to the motto “Diesel out, electric in”, the electric rear axle presented for the first time at the IAA in 2016 will be used, which “brings a torque of 6,580 Nm onto the road and accelerates vehicles with a permissible total weight of 7.5 tons with supreme ease”, as the accompanying press release states. The range is up to 100 kilometres, depending on the customer’s requirements. BPW is relying on battery technology from BMW i. Two lithium-ion high-voltage systems from the BMW i3 are coupled and thus have a combined output of 84 kWh. The battery management, including wiring, sensors and heating and cooling systems, comes from BMW. Depending on the desired range, additional battery systems can be installed. BPW also offers various charging systems depending on the intended use and customer requirements. The electric MB Vario shown in Munich has already started its regular service at the Cologne waste management company and is the forerunner of the upcoming serial conversion vehicles, which will be re-equipped at Paul Nutzfahrzeuge from the second quarter onwards. The reason for the special vehicle manufacturer’s initiative is obvious: the Vario has not been produced since 2013. As part of the conversion, the entire conventional powertrain will be removed and replaced by the aforementioned electric axle from BPW. Target groups for the conversion include municipalities and authorities that are still using the Vario – and want to convert to emission-free drives. The standard conversion of the Mercedes-Benz Vario into a battery electric vehicle should not be reflected in the weight of the vehicle, which, according to the project partners, will ideally remain the same. However, the conversion is noticeable in terms of the torque, which increases significantly. 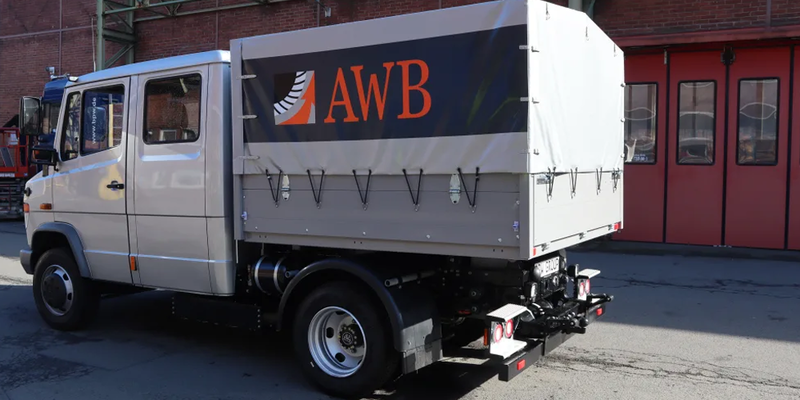 In addition, Paul and BPW state that following the installation of the electric axle, the wheels could be controlled individually, the turning circle could be calculated more narrowly, and overall operating costs could be reduced.